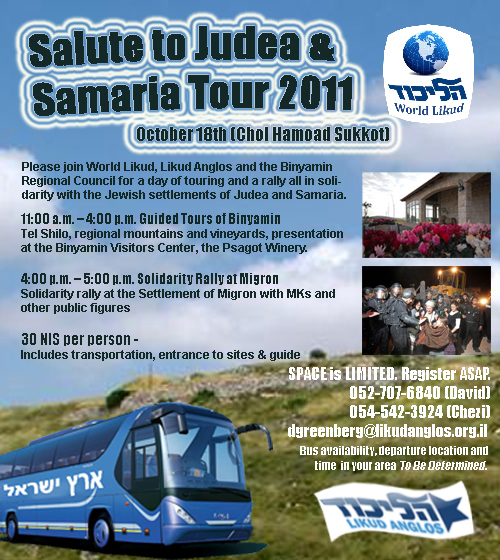 Please join World Likud, Likud Anglos and the Binyamin Regional Council for a day of touring and a rally in solidarity with the Jewish settlements of Judea and Samaria. Including: Tel Shilo, sightseeing of regional mountains and vineyards, presentation at the Binyamin Visitors Center, the Psagot Winery. Bus availability, departure location and time in your area To Be Determined. RSVP Soon!